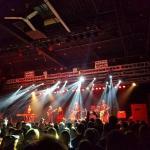 Macon&apos;s central location in Georgia makes all of our activities easily accessible. You can even enjoy many of the city&apos;s attractions for free. Museum of Aviation transports you into the world of the sky. Check out planes and learn about our nation&apos;s unique history at the same time. A short drive from downtown Macon, this free museum offers hours of family friendly action. Macon’s hidden gems are our Farmers and Crafts Markets and they provide plenty of opportunities to buy Georgia Grown products. Here are just a few of Macon&apos;s great markets! Macon State Farmers Market has more than 12 vendors regularly selling fresh produce and 2 nurseries. Mulberry Street Market at Tattnall Square Park is a producer-only farmers market open every Wednesday from 3:30-6:30. Mulberry Street Market is that it prides itself on making fresh produce available to everyone. Macon has festivals for every season! From Macon&apos;s famous International Cherry Blossom Festival to the annual Macon Film Festival that&apos;s brought film greats like Andrew McCarthy and Burt Reynolds, there are festivals year round. Ocmulgee is Macon’s #1 tourist destination, and the reason is clear. See the great temple mound, explore North America’s only reconstructed earth lodge, or walk across Civil War battlefields, where 17,000 years of history greet you. What makes visiting the Ocmulgee more special is that the monument’s earth lodge floor turns 1,000 this year! The Ocmulgee Mounds National Historical Park is definitely a must-visit, especially if you’re interested in Native American history and culture, the outdoors and hiking. Macon is often referred to as a “City Within a Park.” We have an extensive network of community parks and walking trails that allow visitors and residents to experience Macon’s natural beauty. Park are all free and host events for all ages at various times throughout the year. 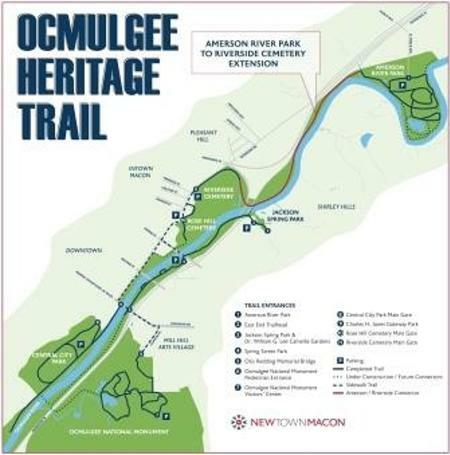 Enjoy Macon&apos;s nature trails like The Ocmulgee Heritage Trail.